Our Radar Speed Pitch is used for tracking the speed of baseball pitches, soccer kicks or football throws. 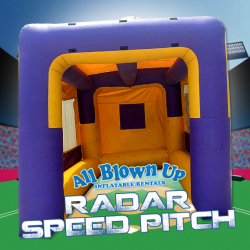 It comes with a professional speed radar gun and a display that gives you a readout on your skill. Each player can see their speed in real time! Great for kids and adults.